The most exciting part of planning a trip for me is booking the flights – it can also be the most stressful. 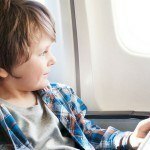 This is because the biggest cost component of any trip is likely to be your flights – and this is even more the case once you have to fly with kids. Buying 4 tickets (and soon 5!) 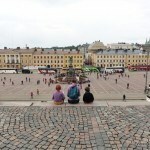 for us can be quite scary if we don’t be savvy about it and hunt down the cheapest fare possible. After all, even a $100 price difference is suddenly $400 for us. Now we are back in far away southern Australia, finding cheap flights is even more important. I am a pro at how to find cheap flights to Asia, thanks to how easy Air Asia makes things, but we are want to see other parts of the world as well especially after spending so much time in Asia last year. It is also extra topical for us now we are stuck travelling in peak (school) holiday times and are open to many destinations – really we just want to go somewhere that is a direct flight or close to where we can find flight deals that won’t bankrupt us. 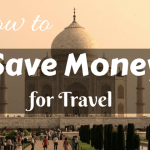 These extra requirements are testing my own knowledge of how to get the cheapest airfare, so I thought I would reach out to other travel bloggers and ask for their best tips to help us all out. After all, who wants to be stuck at home just because they couldn’t find the cheapest flight? Not me! 1 25 Tips for how to find the cheapest flights to anywhere! 1. Plan to travel in off peak times and be flexible about what dates you can travel. This is usually the easiest way to find the cheapest international flights or domestic. However, be sensible about this and don’t get sucked into a deal because it’s cheaper on paper but won’t actually cost you less. For example, Josh is a contractor and doesn’t get paid leave. Flying mid week is usually cheaper, but if he misses more work days because of that, the holiday quickly costs us more than if we had just paid for the flight difference. 2. Matilda from The Travel Sisters says that if you know where you want to travel to but are flexible on dates, use the calendar of lowest fares feature on Matrix. 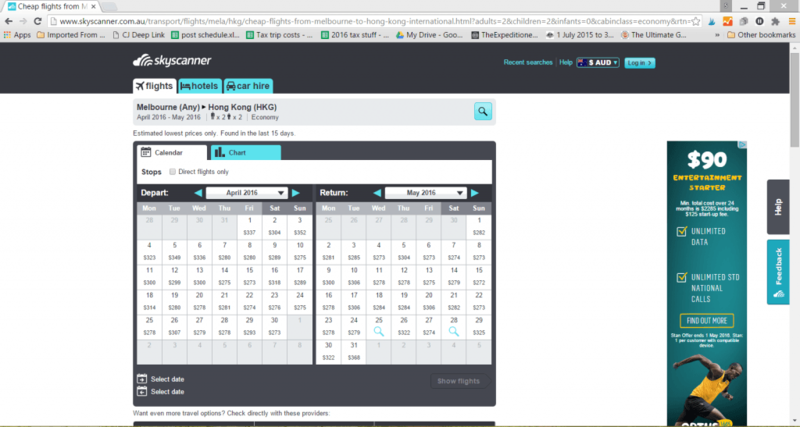 If your dates are fixed but you are open to several destinations search for flights using the Skyscanner “Everywhere” feature. 3. Inma from aWORLDtoTRAVEL points out that flexibility is key but if you can’t make use of it, create an alert on Skyscanner and monitor the prices for a couple of weeks. Eventually, they might go down. On the other hand, searching for ‘country’ to ‘country’ and ticking the ‘cheapest month’ box in the same website will give you the cheapest rates to destinations you might not be thinking of. 4. Stefan from Nomadic Boys says it’s all about maximising your options. He recommends looking for nearby airports and the cost of transfer between that one and your destination. For example, when he visits his family in Limassol (Cyprus) it’s usually an Easyjet flight to Larnaca. Sometimes Easyjet return can be pricey but when the return is from Paphos (other side of the island but same distance from Limassol as Larnaca is) with Ryanair there’s always a saving. 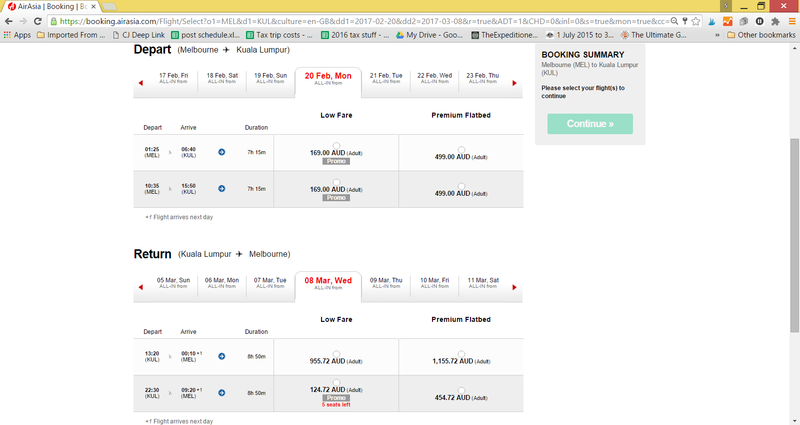 Or, flying into Singapore from mainland Malaysia is expensive (international flight). However, flying to the Malaysian border town of Johor Bahru is much cheaper (domestic flight) and then it’s a simple bus journey into Singapore downtown. 5. Jen from The Trusted Travellers has a similar recommendation for how to get the cheapest plane tickets. As she points out, some of the bigger cities don’t just have one major airport, they might have multiple. 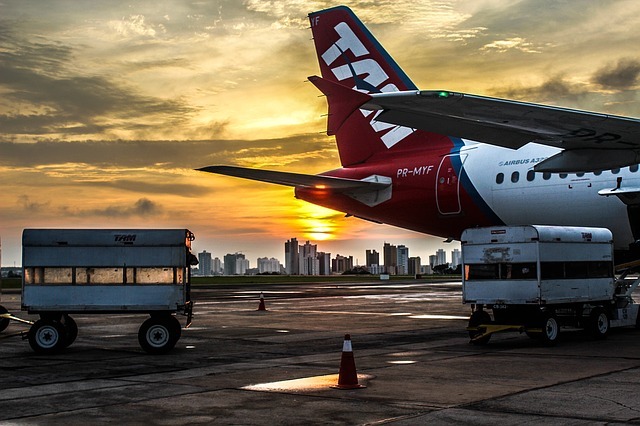 Check out whether it is cheaper to fly to or from an alternate airport because only some airports are serviced by low cost airlines while others only look after the big full service airlines. I will add to this that it can be important to research how to get to the alternate airport and how much it costs. I know I have been stung when I picked an alternate airport and then paid so much more to get there that it wasn’t worth it. Usually though, this works very well. 6. Skye from Skye Travels says that it might sound crazy, but he gets some of his best deals by waiting until the last minute. Obviously it doesn’t always work and that can leave you in trouble, but if you’re flexible and willing to just go anywhere, you can find some amazing deals. 7. John from Roaming around the world suggests that sometimes how to find the best flight deals is actually not to fly at all – but take a re-positioning cruise! He’s often found that the cheapest route between continents (particularly US and Europe) is to take a re-positioning cruise. You can find routes between the US and Europe for about $300 USD and have a two-week journey crossing the ocean while stopping at exotic ports along the way. At a cost that comes out to $25 per day yet includes two-weeks of all-inclusive luxury accommodation, 5-star dining, & round-the-clock entertainment, it’s better than any first-class flight out there and definitely more economical. 8. If travelling between Australia and Asia, the answer to how to find a cheap flight is made much simpler – you will get by far the best deals by subscribing to Air Asia and booking well in advance. Most our trips to Asia have cost between AUD$100-$150 per person each way – that’s for an 8 hour flight! We also bought cheap tickets for a school holiday period by booking 9 months in advance. However, this obviously carries risk. That trip is for June when I am now having a baby and we can’t go anymore! The change fee is just about the same as what we paid and we can’t move the accommodation we bought in a package deal with the flights. Lucky it wasn’t much! Sally from our3kidsvtheworld agrees. She recommends jumping on the sales on Air Asia long in advance to get to Malaysia and then sort out finding the cheapest flights to wherever it is you want to go. This is how they afford to travel with their three kids. 9. Jo from Frugal First Class Travel ensures she is aware of the time frame for “early bird” offers. For example, in Australia flights to Europe are on sale in August, then again in November and normally again in January. 10. Aileen, from I am Aileen, gets her best deals on flights from SecretFlying.com. You sign up for their newsletter and then are notified daily of flight deals ANYWHERE around the world. For instance, she scored a $200 round trip flight ticket for March from Europe to Japan! I have recently joined this mailing list myself – it is amazing. 11. Nadeen from The Sophisticated Life gets great deals from subscribing to The Flight Deal. She receives daily alerts on flights around the world. She especially likes how they post all the deals on the top of the newsletter so that you can scan to see if anything interests you then they provide more details on each deal below with links to purchase them. 12. 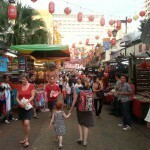 Sarah from Fit Travels recommends Australians take a look at OzBargain for finding the best flight deals. It has direct links to the best sales on different sites or instructions on how to use multiple sites to get the best deals. She’s even booked a flight ex Australia through Expedia Brazil because it worked out nearly $200 cheaper than paying in AUD on the AU website – OzBargain informed her of the loophole. 13. 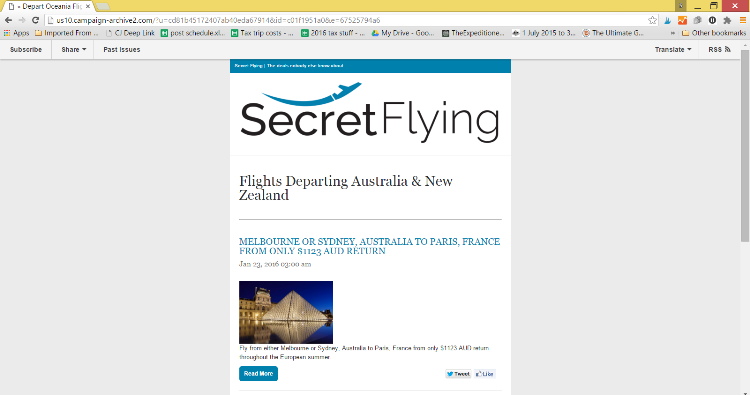 Another good site for Australians is I Want That Flight. You can see my tips for how to get the best deals on flights on this site here. 14. For the US, Kemkem from Nextbiteoflife recommends airfarewatchdog for alerting you to American flight deals. 15. Erin from Explore with Erin suggests always checking CheapOair when making a booking. It’s often cheaper or the same price as other sites, but if you have 4 or more travellers use the code “TWB40” to get a significant discount on the booking. It’s perfect for families that are working out how to find cheap flights. 16. Chris from a Brit and a Southerner recommends Google Flights and finds it to be an excellent resource for finding ‘alternative’ options especially if you are considering a spontaneous trip somewhere. The map functionality allows you to select a departing airport with your chosen dates and then see the prices of many destinations. It has a great user interface and is easy to use. I will warn that Google Flights does not seem to update often enough – most of the times I have used it, it has shown flight prices that I have found impossible to find anywhere where I can actually book the flight. Make sure the price actually exists before getting too excited. 17. Sean from Venturists likes using Adioso.com‘s “anywhere” option to find destinations that are particularly cheap for a time period. 18. Alouise from Take me to the World likes the Hopper app. If you know where you want to go, you can do a search and it will show you the flight price over the next few months. You can set up an alert and it’ll give you information on when to buy tickets before prices increase. 19. Paula from the Contented Traveller recommends going old school and seeing a travel agent for international flights. She finds they are competitive with anything she can find online. This is not the case for domestic flights however. 20. Jo from Zigazag follows on from Paula’s advice and says for international flights she’ll generally do an internet hunt, often finding the best deals on Skyscanner. She then goes to a travel agent and asks if they can price beat. Flight Centre have been great at doing this and then you have your tickets and itinerary printed out for you so nothing is left to chance. 21. Eden from Really Truly Living likes to go to the arriving airport website and see what airlines fly in. She finds this a good way to find airlines that aren’t on the big search radars. She then goes directly to their website and looks for good deals. This takes a little longer but has worked out well for her. I have found this technique especially works well for less visited airports, like when I went to Myanmar last year. 22. Jason from Aspiring Gentleman follows a similar technique but instead finds the airport’s Wikipedia page (city name + airport + wiki) to find all of the airlines that depart from his nearest airport or arrives at his final destination. He finds this extremely helpful in showing him the budget airlines he never knew existed that often do not come up in regular search results. 23. Patti from The Savvy Globetrotter recommends searching for flights using an incognito browser. If you do not, the airlines leave cookies that raise fares when you search for a route more than once. I have taken this to another level at times – when I had a work place, I would research on my home computer and book on my work one just in case they were also looking at my IP address! I have also recently started using a service which masks my IP so I can look at sites as though I am in other countries. 24. Erin from Travel with Bender also recommends always checking a single flight ticket before checking the ticket price for multiple tickets. Airlines price tickets differently, but this will often lock in the cheaper price for you. 25. Laura from Savored Journeys always tries longer routes that include her destination as a stop, especially if booking a one-way ticket. Sometimes it’s cheaper to book through to another city and just not take the final leg. However, be weary of this if you are booking a return ticket as missing a leg of your journey can cancel the rest of your ticket. So that’s it! 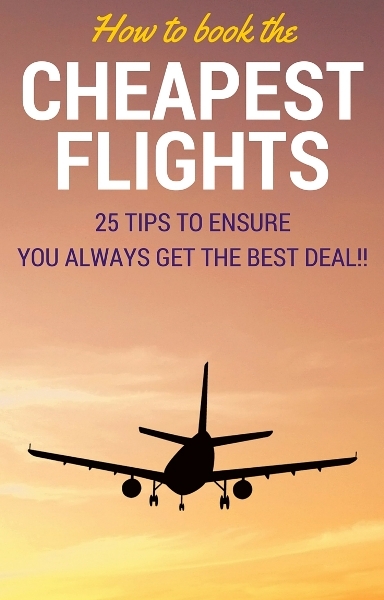 I hope these 25 tips for how to find the cheapest flight help you learn some new tricks and save lots of $$$$ on your next trip. I know they are helping me! 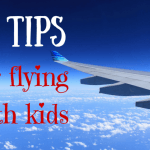 You can also read our top tips for flying with kids. What’s your best tip for how to book the cheapest flight? Great tips and a question we often get asked so very happy to have a great reference post to send people to! Thanks Eden 😀 I have definitely learned a lot just compiling this article. Great post Sharon, super helpful with loads of information. There’s a few sites there that I have never heard of and am checking out right now. Any tips on how to fly premium economy for cheap? Kids are now 11 and 9? We often go to Asia and this trip we found that long haul flights in economy is starting to be snug. We live in Vancouver Canada and find that booking early would be the best to get the best fare, however milk run flights are also possible with at least 5 weeks in advance. The air sleeping pads are a must for older kids as often it is too snug to fit 4 on 2 twin beds. We would like any recommendations or links with older kids…. Hi again Jess! I am not a good person to ask about premium economy tips as I have never looked. Hopefully someone else sees this and can help. We travel with an air mattress for our oldest. It gives us so many more accommodation choices. Congratulations on the upcoming newest family member and thanks for great tips. We have slightly different travel needs based on medical issues. So using many of the tips you have already listed does help out. We also use flightfox as well to help us out when it gets too hard to skip around. Great tips on cookies and browsers. Will definitely keep that in mind. I have found Air Asia to have cheaper fares but the whole exercise of adding costs from food to blankets to visual entertainment freaks me out and almost feels like only some difference between an airline which would offer much better service compared to Air Asia. Also with 2 kids, am also in the same situation like you guys, everything from hotel rooms to airline costs have to be considered when I book. Hi Rahul! Yep I definitely find fares can be better for mid week! I still find Air asia sooooo much cheaper than competitives even with all the extras especially as you don’t need them all. We never get blankets or entertainment for example. We just pay for food and seats (on longer flights). On the upside, at least we can pay for a bassinet seat and definitely get it unlike when we fly with other airlines. Flexibility really seems to be the key for cheaper flights! Excellent post!